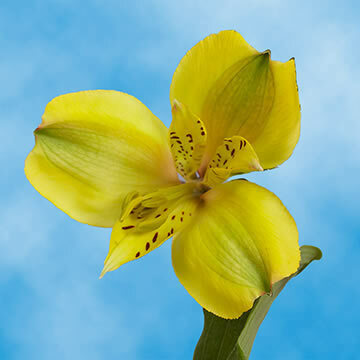 For the most part, Yellow Alstroemerias express countless feelings, such as Enthusiasm, Gratitude and Friendship, though there are many variations dependent on color. They also usually represent admiration. We produce year round in the preeminent climate available on earth. Our Tulip collection is grown in greenhouses, using the newest technology obtainable, so quality is guaranteed 365 days a year. Your orders are sent absolutely fresh, directly from the greenhouses to you via FedEx. 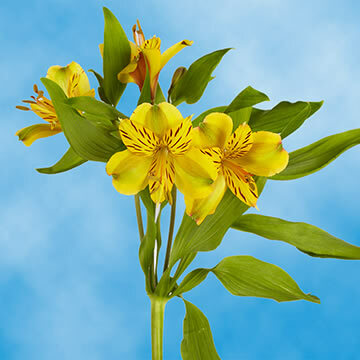 Globalrose retails wholesale Yellow Alstroemerias at prices that are usually lower than most local wholesalers. All our Color wedding blossoms and bulk Tulips are cut specially for you, your loved one or special event, 3 days before they are delivered free to you. 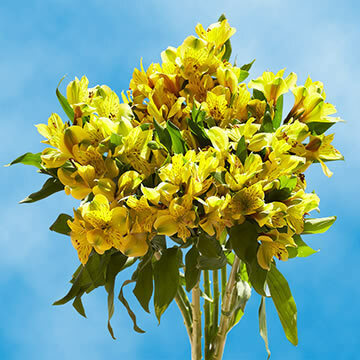 They have many uses like for Color Christmas Bouquets, Valentine's Day Arrangements or for Mother's Day flowers.